Interior Design Ideas For Your Home Living Room Furniture High-Gloss Coffee Tables: Black or White? Coffee tables are definitely necessary in your living room or family room. They are very useful and provide extra space to set out a buffet of appetizers and snacks for your guests. You can easily place your drink upon it on while sitting on the sofa rather than the floor where it has the potential of spilling. This will help you keep your sofas as well as the surrounding areas clean while eating or drinking. On different furniture websites you will find varieties of coffee tables which can pose as a bit of a problem when it comes to decision making. Similar is the case when you are going into the furniture store. There are so many wonderful and contemporary designs that you find all of them very attractive. Made from a wide variety of materials that suit different needs-the choices can be exhausting at best. 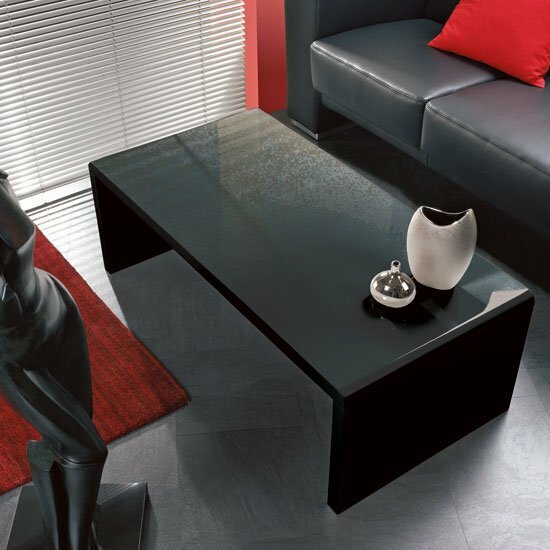 There are wooden coffee tables as well as glass coffee tables available in an assortment of colors, sizes and shapes. Black, for instance, has become quite popular and has become the favorite of many people which is why furniture designers have designed coffee tables using black glass. On the other hand, some people opt for the old white and clear glass tables. If you are contemplating purchasing a black glass table, then you should first keep the other furniture items you have at home in mind. If they are also contemporary and the people who visit your house also follow latest trends in home décor, then this style would fit easily into your home. If you are purchasing a sofa along with the coffee table, then try to opt for a black coffee table as it will give a more edgy and pleasant change to your home. On the other hand, if you are simply replacing a coffee table and your sofa is of an older fashion, then it is better to choose a white glass table as it will suit that kind of furniture. Its simplicity will also bring life to an otherwise dull living room.